Community First: Lauren's One Wish - Michael A. Gilkey, Inc.
Our last edition of Community First for 2018 features a local organization we care deeply about: Lauren’s One Wish Foundation. Lauren’s One Wish Foundation is an extraordinary and powerful tribute to 18-year-old Lauren O’Hara, the oldest daughter of our long-time friends and colleagues, Jean and Pat O’Hara. Lauren expressed her wishes while fighting leukemia to help others, especially teens like her, who have been diagnosed with pediatric cancer. Ronald McDonald Sponsorship: Lauren’s One Wish sponsors the Day Use room at the Ronald McDonald House central location in St. Petersburg, offering families a quick shower or nap while their child is in hospital. A much-needed respite for many parents. Sandwich Grab-N-Go: Lauren’s One Wish initiated, provided sponsorship funds, and helped launch the Sandwich Grab-N-Go program at the Ronald McDonald House, which now offers quick, readily available food at no charge to families in critical areas of John’s Hopkins All Children’s Hospital and Ronald McDonald House. Electronics Wish List: Lauren’s One Wish continues to provide electronics from the Johns Hopkins All Children’s Hospital Child Life wish list (i.e. Playstations, Wii’s, Xboxes, etc) for “check out” available to all children and families in-hospital. Additional Support: Lauren’s One Wish continues to provide SunPasses, Shipt service, Gas Cards, Publix Gift Certificates, and more to many affected local families. Life Interrupted Grants: Lauren’s One Wish continues to award these grants, which are intended to be used for FUN, allowing local children and teens to splurge on themselves. Scholarships: Lauren’s One Wish has established scholarships in Lauren’s honor at Sarasota High School. Research: Lauren’s One Wish donates $1,000 each year from the Lauren’s Rainbow Run 5k proceeds toward research. Last year and this year as well, that donation is being made to The Benjamin Gilkey Fund for Innovative Pediatric Cancer Research. The biggest event of the year for this wonderful organization is their annual Rainbow Run 5k & 1 Mile Fun Run. 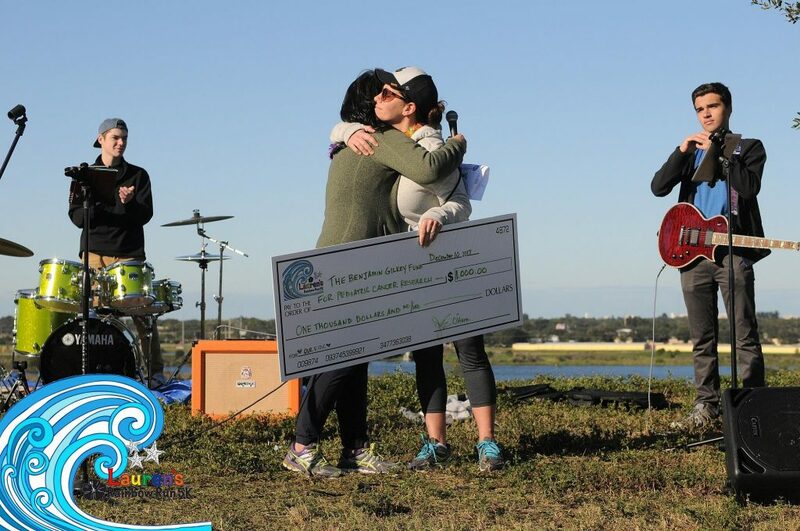 This year’s race takes place once again at the gorgeous Celery Fields on Sunday, December 9th. 100% of the proceeds help local children facing cancer. Register here. You can also support this event by participating in their amazing online auction, featuring vacations, boating adventures, hotel experiences, sports outings and so much more. Do some holiday shopping for a good cause here. Michael A. Gilkey, Inc. is proud to support the Rainbow Run as sponsors, and some of us, as repeat participants. We are grateful for the business relationship, friendship, and guidance of the O’Hara family and look forward to continuing to support their efforts for years to come. 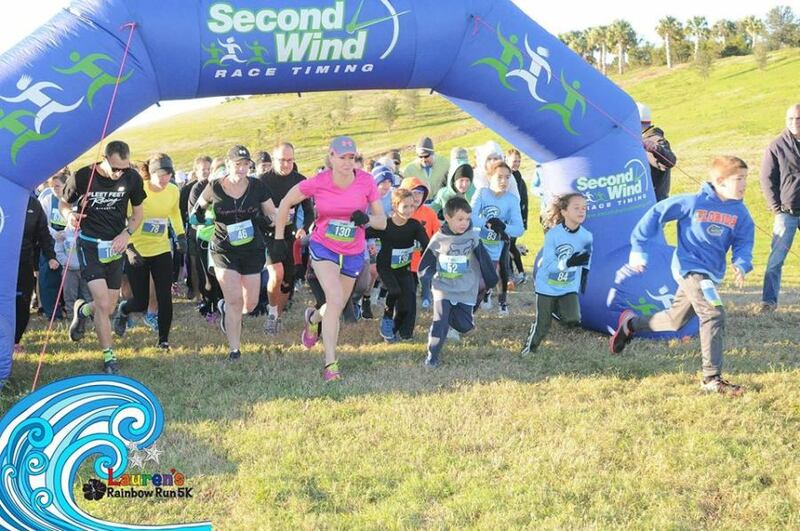 We’ll see you at the Celery Fields December 9th!